Online Heifer Sale OPEN for Bidding! The Holstein Plaza Online Heifer Sale is OPEN FOR BIDDING... Take a look at the exciting offerings, various flush-age heifers, donor cows are offered and can make you an IMMEDIATE RETURN ON INVESTMENT! Highlights include a GTPI+2846 Modesty daughter, a +2801G Jedi with +80 lbs Protein, various flush-age heifers with proven track-records up to nearly +2800G and or heifers directly from lines that produced ALL-AMERICANS! CLICK HERE for a direct link to the auction site. One of the most exciting bulls in the breed, Mr Frazzled Aristocrat GTPI+2939 NM$>+1000, PTAT+2.67 and the perfect mating for Modesty and Jedi bloodlines! 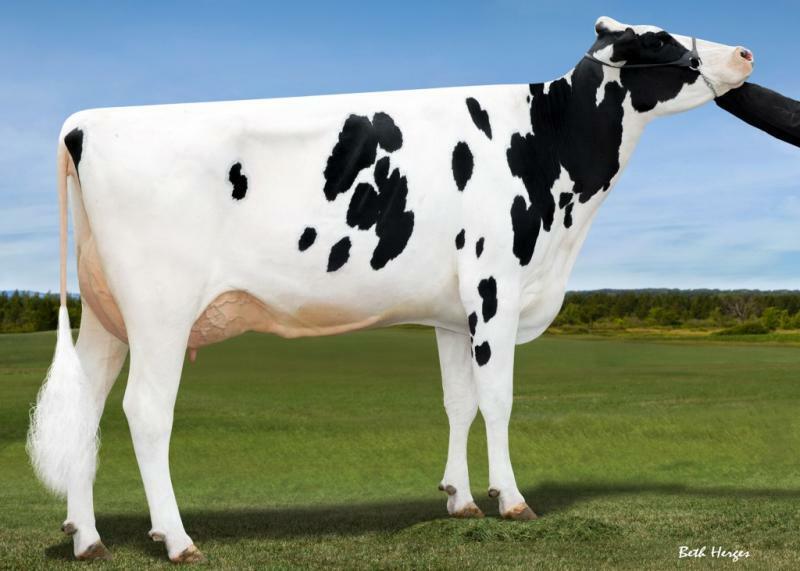 Recently his granddam was classified and she increased her score to EX-91! Interested? Please contact AMS Genetics right away and get informed about the exciting opportunity to use Aristocrat in your genetic program! 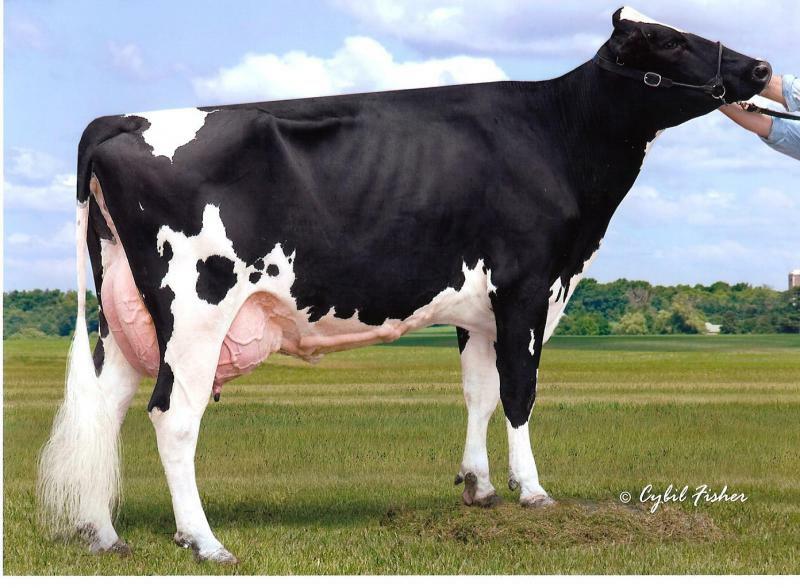 Kings-Ransom Delta Destiny is an exciting VG-88-2YR Delta daughter at Kings-Ransom Farm in Schuylerville, NY. She is backed by an EX-92 Doorman daughter of Kings-Ransom Dorc Dextra EX-93! Destiny has several sons in A.I. including an exciting GTPI>+2700 PTAT>+3.20 Granite son that was sold through AMS Genetics to an overseas client. If you have exciting bulls available or interested in adding an exciting North American bull to your program. Don't hesitate and contact AMS Genetics TODAY. The Holstein Plaza Online Heifer Sale is OPEN FOR BIDDING... Take a look at the exciting offerings, various flush-age heifers, donor cows are offered and can make you an IMMEDIATE RETURN ON INVESTMENT! 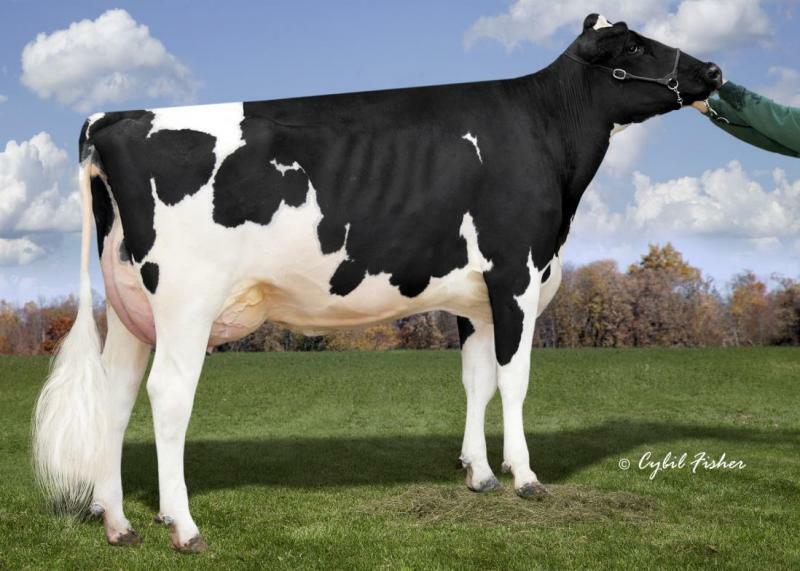 Highlights include a GTPI+2800 NM$+925 Verona daughter that is ready to work, a Solomon daughter with +4.00 PTA Type back to Camomile, A Red, Polled Jedi and a EX-90 Alexander daughter of Harvue ROY FROSTY! Copyright © AMS Genetics International, LLC. All rights reserved.